If you’re not sure whether you need to clean your furnace ducts or not, then this guide on furnace duct cleaning pros and cons will help you make up your mind as far as cleaning your furnace ducts is concerned. It is fair to say that there are few things more important in the wintertime than being able to keep warm. That may sound simple, but in reality, it can be anything but. If you come from a part of the world where it gets particularly nippy in the winter, such as Canada, the Northern United States, and Northern Europe, keeping warm and carrying on in wintertime can be a challenge. Furnaces and heating units are two natural responses to the question of how to keep warm. Heating units which make use of your air ducts to spread warm air throughout your home can seem like the perfect answer here. 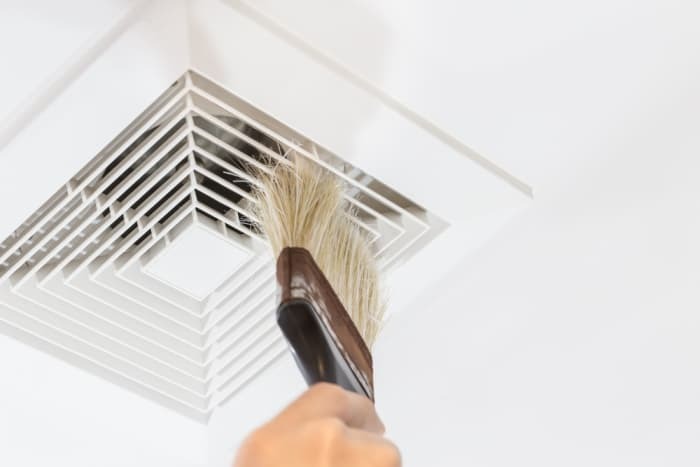 That being said, such as any man-made unit, furnaces and heating units which make use of air ducts are typically going to require cleaning every now and again. On the one hand, there is nothing controversial about the idea of cleaning out one’s air ducts. Even in areas where “winter” simply means only a slight dip in the warm palm tree-adorned weather, cleaning out air ducts from time to time is essential. You never want to be caught in a position where your air ducts are polluted and, as such, are pumping foul polluted air throughout your premises. On the other hand, everything from the cost to the potential side effects of a cleaning gone wrong can give one pause. So, how do the pros versus cons of cleaning out your furnace air ducts shake out? Let’s take a look. This is probably the biggest reason to look into getting cleaning services for your furnace’s air ducts. No one likes the idea of living with airborne contaminants, let alone their being piped throughout your home. This is a major problem when it comes to all air ducts and ventilation systems. You always want to make sure that your air ducts are pumping out air which is clean and safe to breathe. If you haven’t had your air ducts cleaned in some time, that might not be the case. Uncleaned air ducts can play host to a wide range of pollutants and bacterial infestations, to say nothing of the possibility of a full-on mold infestation. None of these are attractive options, making the prospect of getting your furnace air duct cleaned a far more attractive prospect. One of the first questions you’ll want to ask when it comes to the question of whether or not you should get your heating unit’s air ducts cleaned is just how necessary it is. As stated above, cleanliness, as well as protection, from airborne materials are among the most important considerations here. That being said, if you have recently had your air ducts cleaned or serviced as part of a maintenance trip, you may question whether or not it is worth it to have a team come out and do the same job a second time so close to the first. In addition to airborne materials, you are also going to want to make sure that your air ducts are not pumping dust all over your home. This can be a quick way to lower the overall air quality of your home, to say nothing of how it can impact guests and even the décor of your residence, as pumped-out dust begins to settle all over your property. Naturally, you don’t want that to happen. As such, investing in quality air duct cleaning services for your HVAC and furnace units can be a great way to avoid this fate. That said, you’ll want to keep in mind that having your air ducts cleaned is hardly the sort of thing you should have done on a whim. It is a time consuming process, and so you aren’t going to want to schedule this type of procedure anywhere close to a major event. What is more, you’re going to want to make sure that if you do have this procedure done, you are able to follow up with the necessary maintenance to ensure that its desired effect is lasting. Changing out a filter every once in a while simply won’t cut it. Getting your air ducts cleaned is a major investment in terms of time, money, and effort. If you cannot commit to all three, you may want to consider other options so as to avoid wasting them on a half-finished job. Nothing can prove more maddening than having a machine or system operating at less than full efficiency. You know that your unit is capable of better, but cannot get those superior results. When that lack of better results potentially means the difference between cleaner or dirtier air, or else being able to enjoy your heating system during the winter versus the possibility or not being able to use it due to its being in a state of disrepair, the stakes are all the greater. As such, one of the big marks in the pro column for getting furnace duct cleaning services is the fact that it can really help maximize the efficiency of both your furnace, as well as your central heating system. By contrast, one of the biggest potential marks in the con column is the fact that, if carried out improperly, duct cleanings can do far more harm than good. For one thing, there is always the possibility that the cleaning service itself may be less than meticulous or efficient, leaving you with quite a bit of time and money wasted and not much to show for it. Even worse, however, is the prospect of your heating or air duct systems being damaged in the process. Cleaning out air ducts is typically done with the help of long vacuum tubes. If these tubes are substandard, or the contractor does not follow proper guidelines, there is a risk that these tubes can cause leaks and structural damage to your air ducts, leaving you with a massive problem on your hands. That’s one reason why you’ll always want to be sure that your air duct cleaner is fully licensed. You will also want to check the Better Business Bureau, as well as customer reviews of the cleaner in question, to make sure that their reputation is one of competence. A big positive of having your air ducts cleaned is the fact that this has the potential to lessen the amount of pressure placed on your furnace and heating unit. The less dust and particulate buildup there is within a given space, the less resistance there will be against your unit’s airflow, thus, lessening the stress. This, in turn, can help ensure the longevity, as well as superior performance, of your unit. One way to increase stress? Trying to do this yourself. As demonstrated above, cleaning our air ducts with the proper tools can be tricky even for licensed contractors. Trying to do it on your own is almost certainly a project which is doomed to failure – and a very expensive failure at that. If you damage your air ducts due to improper cleaning techniques, it can set you back thousands of dollars, to say nothing of what you’ll have to pay and deal with in terms of the reduced air quality of your home if you do cause a leak. As such, while that DIY spirit is admirable, furnace air duct cleaning is really the sort of thing for which you’ll want and need a professional team’s help. This is, by far, the most attractive reason for homeowners to look into potential air duct cleaning services, either in connection with their furnace or in its own right. By reducing the stress and increasing the efficiency of your unit, you should be able to reduce your heating and air conditioning bill. How much you are able to reduce it is naturally going to depend on how much you use it. Nevertheless, the very fact that it will be functioning at a greater efficiency rate is good news for your bottom line. In addition, there is the added pride which can come from making your home more energy efficient overall. This can matter immensely if you are ever in the market to sell your home. Being able to boast to a potential buyer about having a highly-efficient air duct system which will result in lower monthly bills can be a great selling point. As such, a one-time investment for furnace duct cleaning services can lead to great short and long-term windfalls down the road. All in all, it is definitely fair to say that while there are certainly pros and cons to be debated back and forth, as long as you know what you are getting into and can entrust the job to a trained team, getting quality furnace duct cleaning services can be well worth it. With that in mind, when planning for the winter season this year, you may want to plan on looking into a service which, when properly executed, can prove to be a gift that keeps on giving.